Nowadays, with the huge range of lipstick brands, colors and textures, we find it difficult to select products that suit us. Many women refuse to wear anything but one or two lipsticks, they are accustomed to using. It is not hard to choose lipstick colors once you know a simple fact. Everything you need to know is whether your skin tones are “warm” or “cool”. Everyone is either warm or cool and it’s all over your face color: blondes, brunettes and redheads can be either. “If I had someone to learn only one thing about lipstick color it would be this: Find a lipstick that looks good on your face when you absolutely do not wear makeup.” – Bobbi Brown, “Beauty”. For everyday makeup, choose a lipstick color that matches the natural color of your skin and hair. Keep lipstick color lighter for daytime and darker for night. 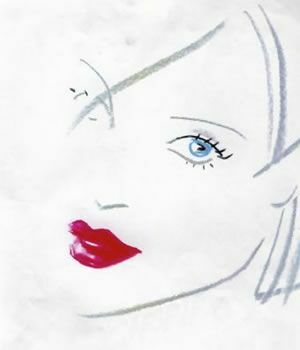 A pure, natural-looking lipstick color with a little polish also works well for the day. Always test for color and a lipstick in broad daylight before buying. Do not feel shy to mix and mixing different colors of lipstick would bring the desired color of your skin color and tone to complement a try.